If you are interested in adding to a current collection or starting a new collection of insects or Walking Sticks, we can help! Buy insects for collections, artwork, photography, science, or arts and crafts. View the collection of Walking Sticks from around the world for sale now, here at Butterflies And Things. 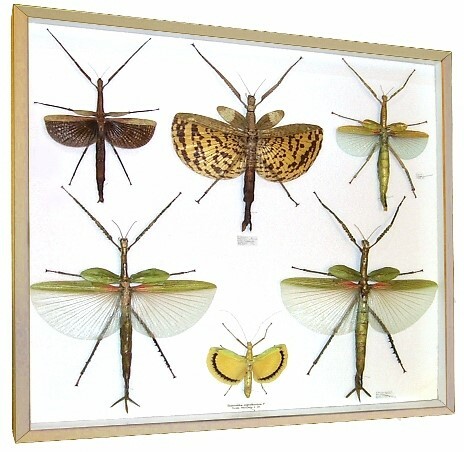 Order supplies, for your collection like black insect pins, stainless steel insect pins, Cornell display cases with wooden frames, or even plastic showcases to display insects and find helpful books about insects and much more.